As I watch Odell Beckham get hundreds/thousands of favs and retweets every time he tweets ANYTHING, it makes me happy and sad. Happy that my favorite NFL player has developed a huge following on social media. And sad because I will never have that type of love from the social media masses despite basically living my entire life on Twitter these days. So I did a little experiment. I waited until ODB tweeted something out and then copied/pasted his tweet as my own. The results are above. Almost 1400 retweets and 1400 favs for Beckham against my 1 retweet and 5 favs. 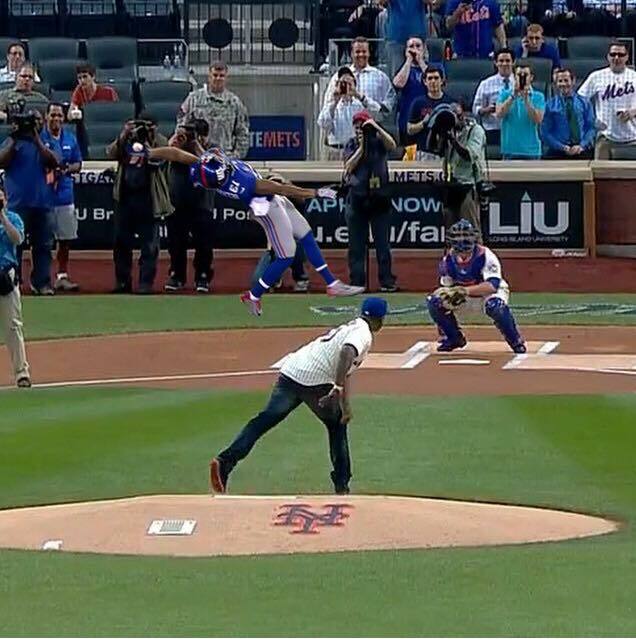 Odell just took me to Pound Town. 1 in every 290 of ODB’s followers retweeted his tweet, while 1 in every 295 of his followers favorited his tweet. 1 in every 3,060 of my followers retweeted my tweet, while 1 in every 612 of my followers favorited my tweet. Looks like I lost again…. Odell Beckham tweeted out his tweet 39 seconds before I did. So I still have time to make up the difference. The game is over and the parade route has been cleaned up. All that was left was for someone to drop the African Super Bowl loser t-shirt joke. Whether you hate the Patriots, their fans, or both, you have to admit that seeing (and listening to) the Seahawks win another Super Bowl was going to be brutal. Richard Sherman saying he’s the best cornerback ever, Doug Baldwin chirping about how no one respects them enough, and those phony die-hard 12s telling everyone they are the best fans on Earth. So it was nice to see Prince Amukamara, Akeem from Coming To America himself, drop the joke on the Seahawks grave. And I’m sure Seattle fans will say an above-average cornerback whose team didn’t make the playoffs shouldn’t talk. But when that above-average cornerback is on the only franchise to solve the Brady-Belichick combo in the Super Bowl and he knows his team will win about the next 5 Super Bowls with the best receiver in the universe on his team, I think Prince can yap all he wants. Well that was a lovely journey down memory lane, huh? ODB is so good, he can make you forget how sick you are of hearing that song for the last three years. 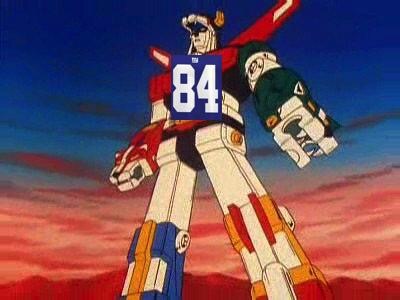 But seriously, those were the highlights of his rookie season after he missed training camp and 4 games with a hamstring injury. What is he going to do with a year of NFL experience under his belt and improved chemistry with Eli/Ben McAdoo? I guess the question I am getting at is “Can Odell Beckham Jr. break a million yards receiving next year”? And the answer just may be “definitely, without a doubt, yes”. 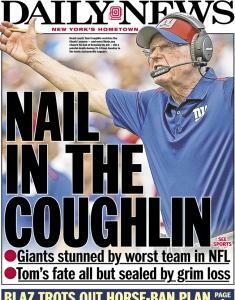 I admit this one hurts as a Giants fan, but when you lose to the 1-10 Jaguars, the gloves have to come off. 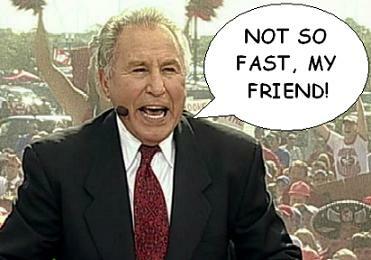 And if you didn’t read that headline in your head with the voice of the NBA Jam announcer, you did it wrong. Now we just need the people at the Daily News and the Post to start coming up with Jim Harbaugh puns, because he is absolutely, positively coming here*. 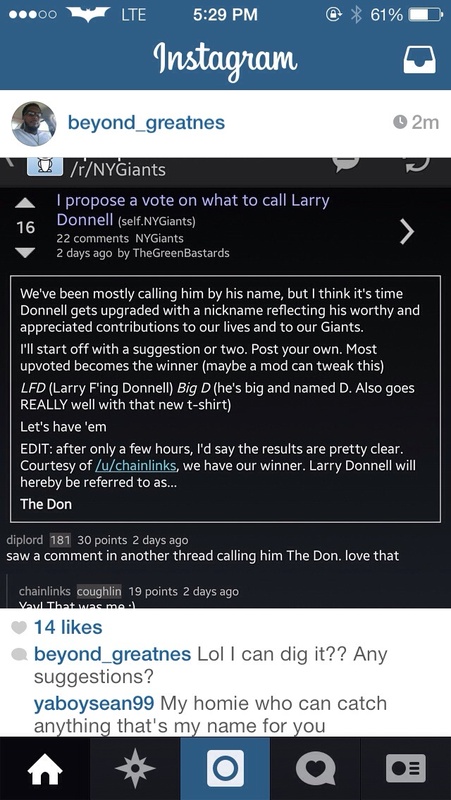 So Larry Donnell AKA The Black Voltron shouted out this reddit thread for trying to come up with a nickname for the (soon to be) greatest tight end of all-time. I am not here to disparage anyone, but the nickname The Don would be the most basic nickname in NFL history. The evolutionary Black Unicorn + Megatron-esque matchup nightmare = The Black Voltron. It is really that simple. So what I need everyone to do is to go to that reddit thread, Donnell’s Twitter feed, and/or Donnell’s Instagram page to let him know that you want his nickname to be Black Voltron. If not for me, then for the criminally underrated 80s cartoon and toys that we all knew and loved. #BlackVoltron has formed. P.S. The Voltron song was absolute FIRE. The first rapper to make a good song with that beat wins the rap game forever.